Alternatively, you can search for templates created by other users and download them to use for your own purposes. Just click on ‘Start browsing’ button, type in a search word and there you go. JeopardyLabs is free to use, however, members ($20 for a lifetime membership) have access to more features (e.g a fancy template manager, privacy control, delete control, a public list of all your templates…etc). 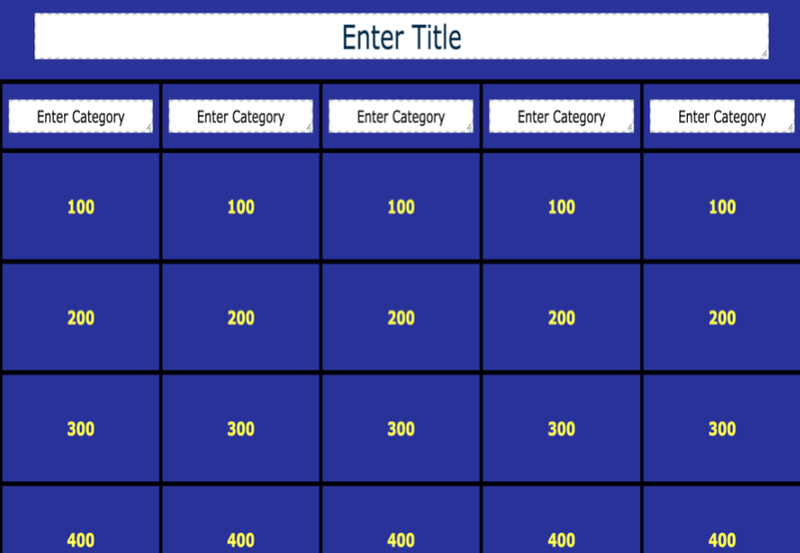 Watch this excellent tutorial from Tara Linney to learn more about how to create a jeopardy game using JeopardyLabs.